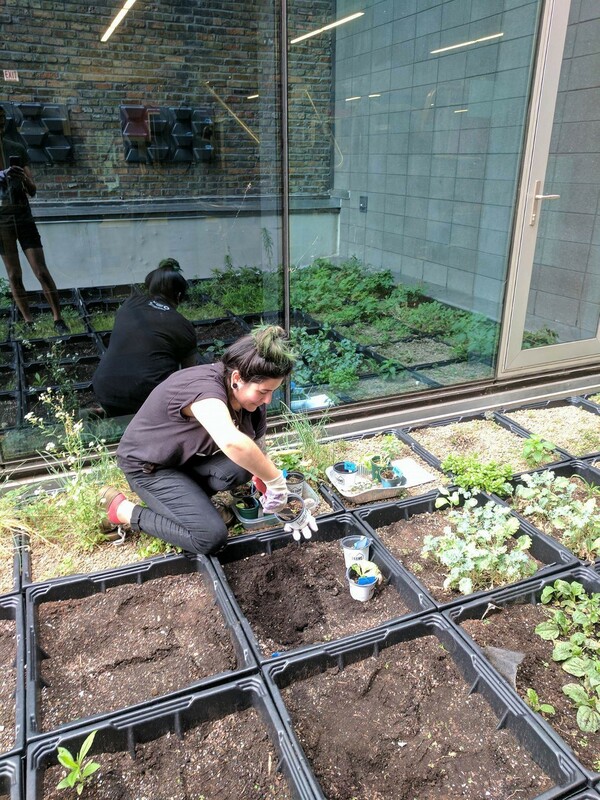 The WB Garden has provided opportunities for hands-on learning and stress relief, as well as herbs and greens for the WB Dining Center, the past three years. Glad to see Moses and Diana digging in this summer as they tend our crops the coming weeks! This entry was posted in alumni, food, green design, internships, Roosevelt, students. Bookmark the permalink.